The mission of the A Christmas Story Run is to provide a race that promotes health and fitness, stimulate the local economy and galvanize the community. These events are made possible through corporate and foundation in-kind and financial support, close partnerships between the A Christmas Story House & Museum and RoadRunner Enterprises 100 LLC, with generous support from Forest City Enterprises and the Downtown Cleveland Alliance. 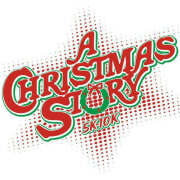 Proceeds from the race benefit the A Christmas Story House Neighborhood Restoration Project. This non-profit foundation was established to restore and maintain the neighborhood surrounding the A Christmas Story House & Museum for future generations to experience and enjoy. The foundation provides grants, both public and private, to projects that enhance and preserve the surrounding neighborhood. Would you recommend A CHRISTMAS STORY HOUSE FOUNDATION INC?